Happy Monday Friends! Hope you had a wonderful weekend. I’m kicking off the first week of fall with a whole week all about Pumpkins here at Domestically Speaking. I’ve got pumpkin crafts, decor and even a recipe coming this week…. so stay tuned! I’m starting off today with a fun & easy update I did to one of those foam Dollar Tree pumpkins. If you follow me on Instagram you saw that I stocked up a few weeks ago when I found them in stock. My oldest daughter painted a few coats of white acrylic paint to cover up the orange. Then I used a hot glue gun to put the twine on. Love the white and brown color combo! Such a fun & easy craft! That is so simple and CUTE! I LOVE fall so much and this would be such a great addition to my fall decor~ thanks so much for sharing this project!! Super cute! I love the white one! Th is is so easy yet so cute! Sharing on my FB page later today. Love it. So simple and love it!! 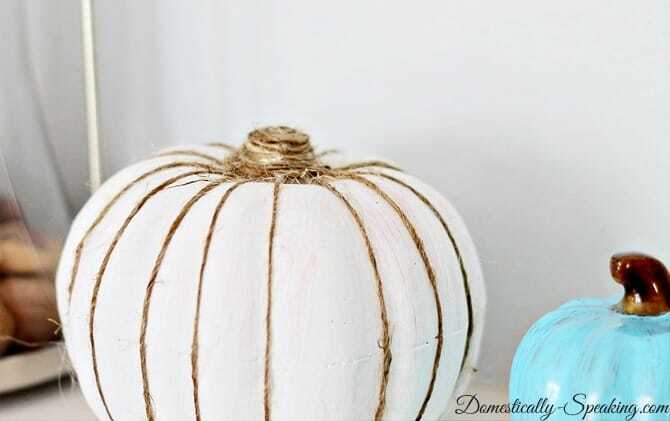 I would have never thought of putting twine on a pumpkin! Please come share this on DIY Sunday Showcase, a party I cohost! It opens Saturday at 5pm! So cute! 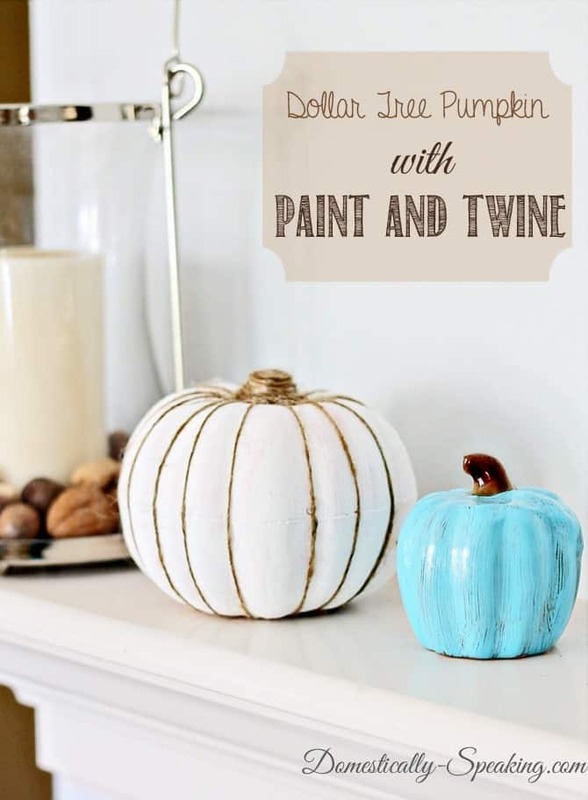 Love all of the things you can do with those Dollar Tree pumpkins! 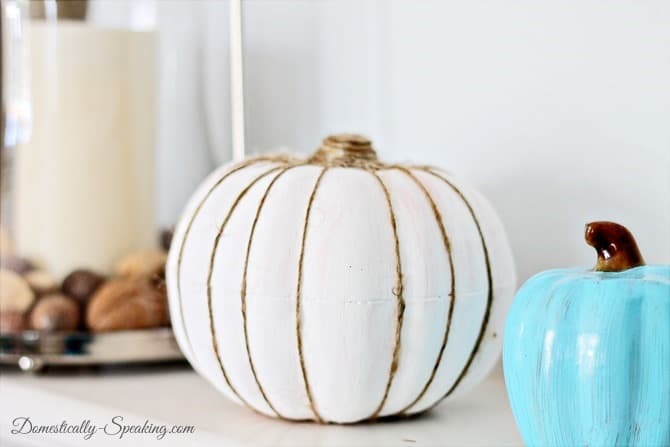 Luv this creative Pumpkin makeover!! The texture with the twine is so pretty! Pinned! The twine is a great addition! Love it! Pretty! I love the white and twine together – natural and rustic!